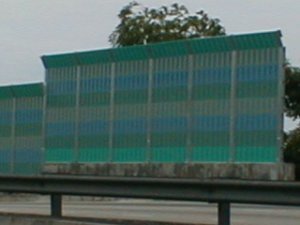 28 November 2001 - One of our Resident took some pictures of the latest sound barrier walls along the Kesas Highway nearing the Cheras turnoff. 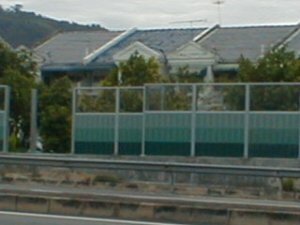 These plastic walls even have "windows", and look and the different colours available! 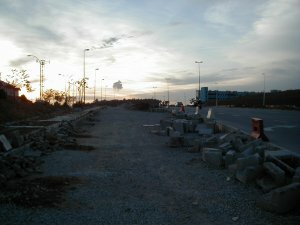 31 OCTOBER 2001 - An email was sent to Tn Hj Kamalul Azman Ad Rashid of Sime UEP to request on updating of the projected completion date for the said wall and to forward to us the design of the sound barrier wall for our reference and onwards briefing to the residents. We are now awaiting the reply from Sime UEP. 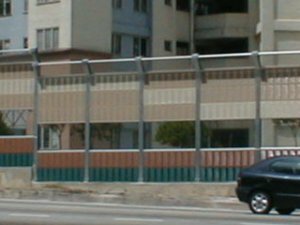 AUGUST 2001 - Upon checking with the Sime UEP site personnel, it was to my knowledge that Sime UEP has decided to construct the sound barrier wall themselves and a separate specialist contractor will be awarded to carry out the work. They have informed that Sime UEP is currently studying other options of design as the design of wall similar to LDP in Bandar Sunway require bigger footing and may have some site constraint. 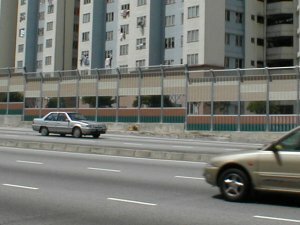 En Rusli has confirmed verbally that they will construct the wall with the design similar to the one at LDP near Bandar Sunway. Our request for the construction of sound barrier wall was approved in the MPSJ Council Meeting held on 17 Oct 2000. MPSJ has directed Sime UEP to construct the sound barrier wall in line with their flyover interchange. 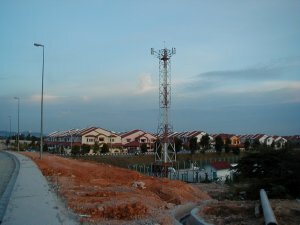 SEPTEMBER 2000 - A letter of appeal with the signatures of our 19 residents was forwarded to Yang Dipertua of MPSJ, YB En Ahmad Fuad bin Ismail to request the assistance from YB in directing Sime UEP to construct the sound barrier wall. Some checking was conducted with LLM and Litrak and apparently they have denied their responsibility. A meeting with our ADUN YB Dato Lee Hwa Beng was held and he has indicated that Sime UEP is the party who responsible to construct the sound barrier wall as they are currently constructing the flyover. JULY 2000 - A meeting with all the residents at Jalan USJ 23/3 was held to highlight on the proposed flyover interchange and to discuss on the strategies to approach the relevant authority to appeal for erecting the sound barrier wall between LDP highway and Jalan USJ 23/3. This sound barrier wall is crucial to us as the proposed flyover interchange has led to the widening of LDP which will resulting the closer distance between the LDP and the houses along Jalan USJ 23/3 and hence will create further environmental pollution to our neighbourhood. Our chairman, Mr Yee was invited to attend the said meeting.